Fall is in the air here in Idaho (along with a TON of smoke from wildfires). Fall is my favorite season! 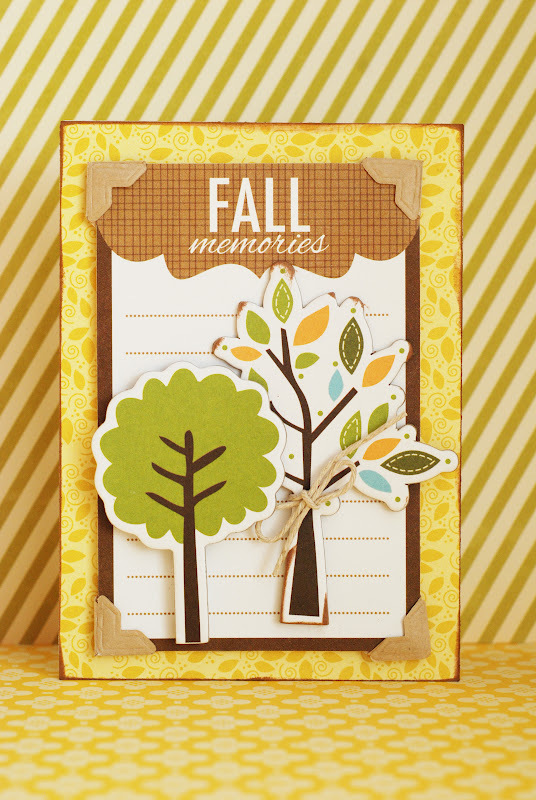 I love the cool evenings, the warm days, and the beautiful warm colors. I created a few cards the other day with some scraps that I had sitting on my desk. I bought some cards with envelopes at a yard sale this summer. I also buy card sets on clearance. I've found that this is an inexpensive way to get envelopes. I can completely recreate the card and I don't have to buy those expensive envelopes from the craft or office supply store. 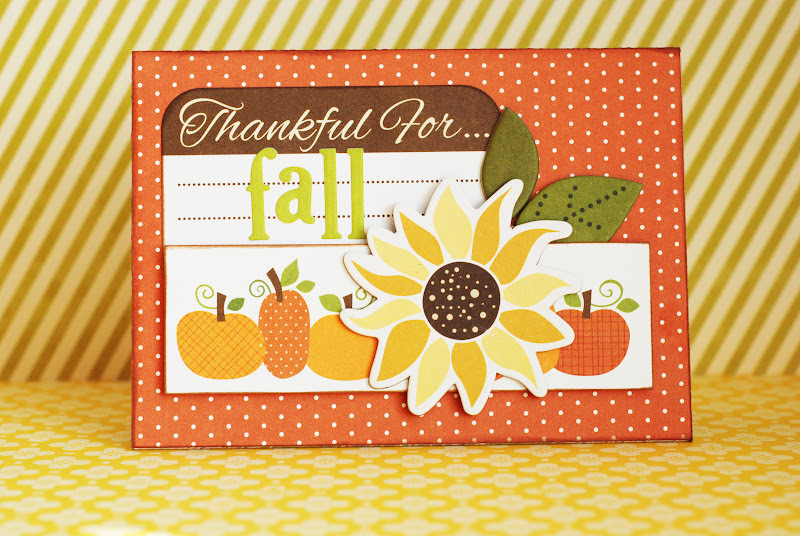 Anyway, back to the fall cards I created. They are both using Bella Blvd products. Their "thankful" line is one of my favorites. If you're looking for a line with great fall colors and embellishments...this is it! These cards were so simple to make. 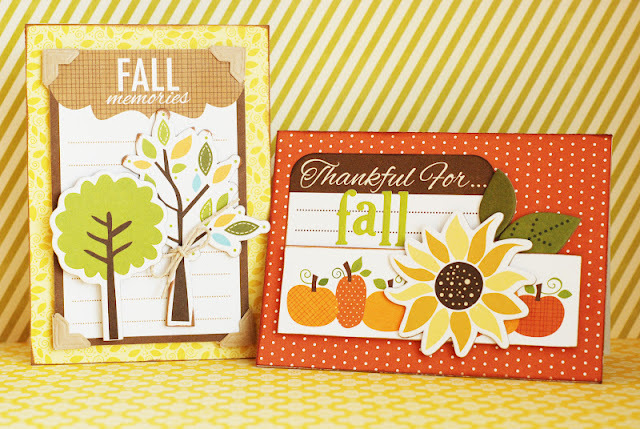 I covered the card bases with patterned paper, added journaling cards and embellished with chipboard...super easy!